The following information provides a summary of herbicide research trials conducted on spotted knapweed in western states. Spotted knapweed (Centaurea stoebe) is a tap-rooted perennial forb that spreads by seed. Plants overwinter in a rosette stage and resume growth in early spring. Flowering occurs in early summer through fall, depending on growing conditions. The weed is a prolific seed producer with 1000 or more seeds per plant that are spread by water, animals, humans, and vehicles. Spotted knapweed seeds remain viable in soil for more than seven years, and individual spotted knapweed plants can live for as long as nine years. The weed is well adapted to a wide range of habitats including open forests, rangeland, roadsides, pastureland, riparian areas, and ditch banks. Disturbed sites are most susceptible to initial establishment of spotted knapweed. Management options include hand removal of small infestations, mechanical tillage , use of grazing livestock, herbicides, and biological agents. The following discussion will focus on use of selective herbicides; however, detailed information regarding effectiveness of other management methods is available online. The following information provides a summary of herbicide research trials conducted on spotted knapweed in western states. The duration of knapweed control on any site is dependent on herbicide properties, and environmental conditions such as soil type, rainfall, and presence of competitive desirable vegetation. In general, control with herbicides tends to be shorter in duration on coarse textured soils, disturbed areas, and on sites with annual rather than perennial grasses. Milestone® specialty herbicide at 5 to 7 fl oz product per acre (1.25 to 1.75 oz ae/A) provides greater than 90 percent spotted knapweed control the year following treatment (Figure 1). The herbicide can be applied any time during the growing season, including fall when plants are actively growing (Figure 2). Spotted knapweed control two years after treatment in Montana averaged 87 and 99% respectively with Milestone at 5 to 7 fl oz/A, and was similar to the standard treatment of Tordon® 22K specialty herbicide at 1 pint/A (Figure 1). Advantages of Milestone include low use rates; general use product (applicator license is not required); and applications can be made in riparian areas or near water bodies as long as the herbicide does not contact surface water. The impact of Milestone herbicide on desirable non-target forbs (wildflowers) has been studied at 16 locations in six states. A summary of these data, and tolerance of desirable tree and shrubs to Milestone herbicide are available online. GrazonNext HL® specialty herbicide at 1.5 to 2 pints per acre provides similar control of spotted knapweed as Milestone at 5 to 7 fl oz/A. GrazonNext HL may be applied any time during the growing season or fall. The addition of 2,4-D to aminopyralid in GrazonNext HL controls a wider spectrum of broadleaf species compared to Milestone alone, but may also increase injury to desirable forbs. Tordon 22K® specialty herbicide applied at 1 to 1.5 pints/A (0.25 to 0.375 lbs ai/A) provides similar control as Milestone at 5 to 7 fl oz/A. Tordon 22K may be applied any time during the growing season or fall when plants are actively growing. Tordon 22K is a restricted use herbicide (you must have an applicator license) and cannot be applied on sites with course-textured soil and shallow groundwater. Transline® specialty herbicide at 2/3 pint per acre (0.25 lb ai/A) provides good to excellent control of spotted knapweed for two to three years following treatment depending on site conditions and time of application. The herbicide is most effective when applied during late bolt or bud stages, and least effective when applied after flowering (fall). The addition of 2,4-D to Transline does not improve spotted knapweed control. Transline at 2/3 pint per acre can be applied in coniferous forest types without causing injury to conifers. A field study conducted in Montana found no large declines in forb diversity caused by application of Transline® at 2/3 pint/A (Rice et al. 1997) . Transline cannot be applied on sites with course-textured soil and shallow groundwater. Dicamba at 1 lb ai/ac or 2,4-D at 1 to 2 quarts per acre (1-2 lbs ai/A) provide inconsistent results. These herbicides must be applied annually until the soil seed bank is depleted. Dicamba in combination with 2,4-D provides better control than either dicamba or 2,4-D alone. Management of large-scale spotted knapweed infestations is more effective when herbicides are combined with other treatments including: proper grazing with domestic livestock, biological control agents, rehabilitation of disturbed sites with desirable species, and/or manual or mechanical methods. Brown ML, CA Duncan, MB Halstvedt. 1999. Spotted knapweed management with integrated methods. In Proceedings, Western Society of Weed Science. Carrithers VF, WS Belles, SA Dewey, JM DiTomaso, CA Duncan, JA Gehrett, T Whitson, and MB Halstvedt. 2006. Milestone Herbicide for the control of key noxious knapweeds: yellow starthistle, spotted and Russian knapweeds. In Proceedings, WSSA. Duncan CA, J Story and R Sheley (revised). 2011. Montana knapweeds: Identification, biology, and management. Montana State Univ. Ext. Ser. Circ. 311. Duncan CA, A Kulla, M Halstvedt. 2008. Effect of aminopyralid on non-target vegetation following aerial application. In Proceedings, WSWS, Anaheim, CA. Duncan CA, VF Peterson, and MB Halstvedt. 2007. Tolerance of coniferous and deciduous trees to aminopyralid. In Proceedings, WSWS, Portland, OR. Rice PM, JC Toney, DJ Bedunah, CE Carlson. 1997. Plant community diversity and growth form responses to herbicide application for control of Centaurea maculosa. J. Applied Ecology 34: 1397-1412. Sheley RL, CA Duncan, MB Halstvedt and JS Jacobs. 1999. Spotted knapweed and grass response to herbicide treatments. Journal of Range Management. 53(2): 176-182. 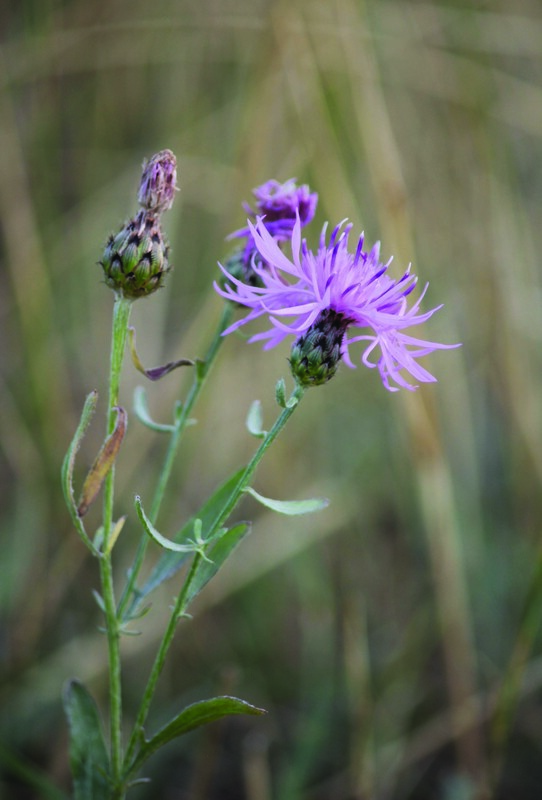 *Control of diffuse knapweed (C. diffusa) will be similar to spotted knapweed. Milestone and GrazonNext HL specialty herbicides are not registered for sale or use in all states. Contact your state pesticide regulatory agency to determine if a product is registered for sale or use in your state. Label precautions apply to forage treated with Milestone and GrazonNext HL and to manure from animals that have consumed treated forage within the last three days. Consult the label for full details. Tordon 22K is a federally Restricted Use Pesticide. Always read and follow label instructions.